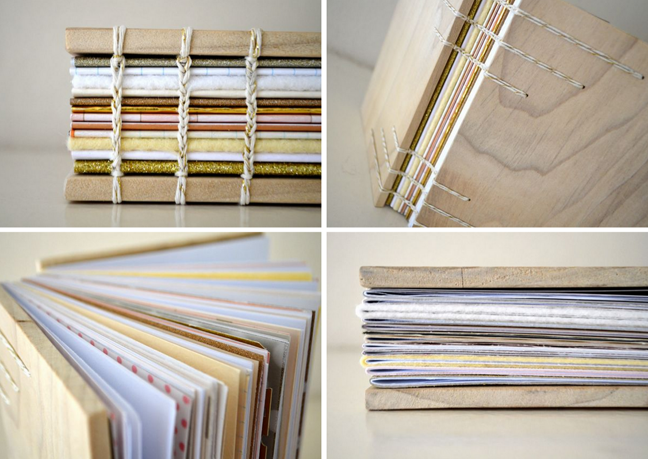 I do love a good excuse to make books! The pages are made from a mix of patterned papers, glittered papers, plain vellum, patterned vellum, regular printer paper, cardstock, and my favorite - FELT! Yup, felt pages. Adds a little texture and softness. And everything is in Allie's wedding colors. 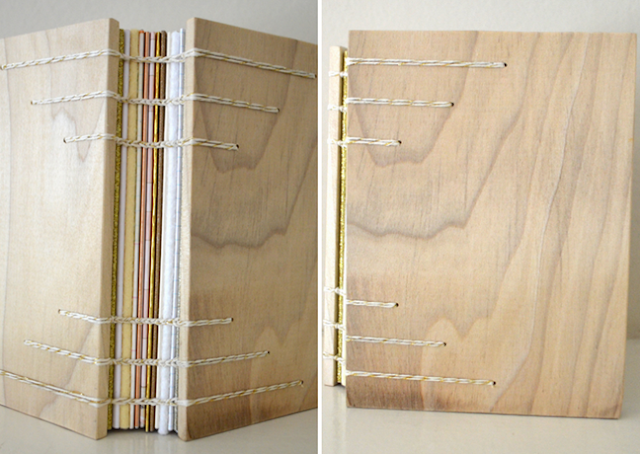 I bound the book copic style using gold baker's twine. Allie is going to have a photobooth at her reception where people can then take their photo, adhere it into this book with a little washi tape, and write a note to the lovebirds. Precious. Love you Allie! SO EXCITED FOR YOU! It's also 5 1/2 x 7 1/2" with wooden hobby board covers that have been painted black. 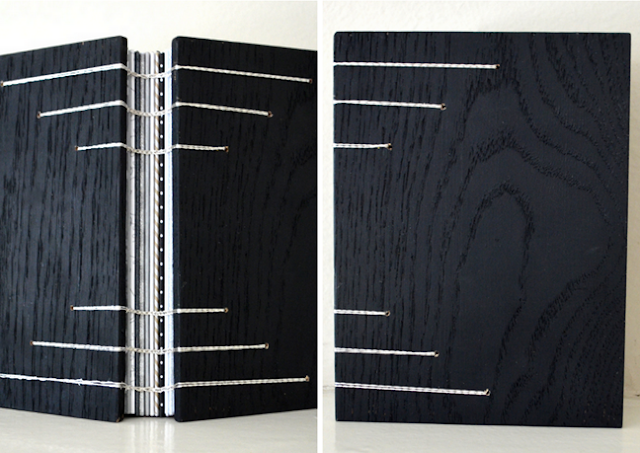 It's a copic style binding and it's sewed together using silver string. 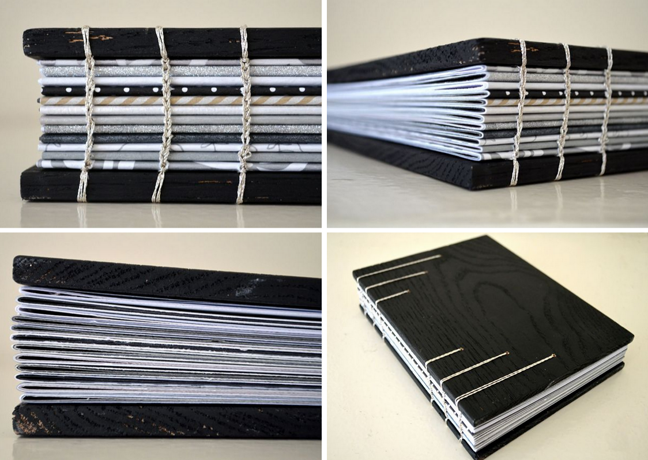 The pages are made from a mix of patterned papers, cardstock, glittered paper, and patterned vellum - all in her wedding color scheme of black, white, and silver/gray. Congrats on your upcoming wedding Tori! 'Tis the season of weddings! You can check out all of the books I've made HERE. Congrats Shemaine! Email me at paigetaylorevans at gmail dot com with your 2Peas username and we'll get you into the class! I LOVE IT! Thank you!! You know me so well :) And I love the felt inside! Can't wait to see you this week!!! oh these are so gorgeous! lucky ladies! Paige its perfect!! So excited to see it in person on Friday! Oh my goodness! Thank you so much for picking me!!! So excited! very nice Paige, what a great idea for a wedding and a nice keepsake for the bride and groom! Great books! I'm sure they will be displayed proudly.